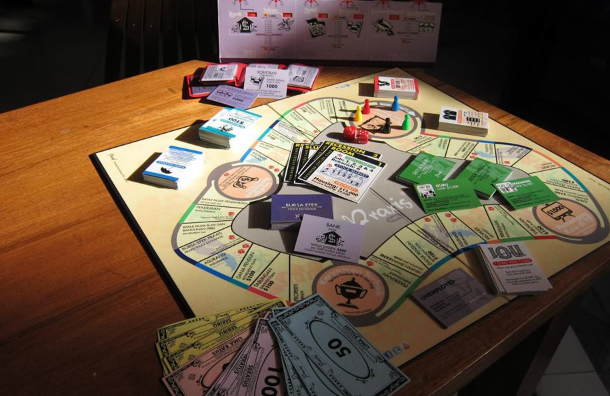 Sun Life Grepa introduces a special board game to help teach financial literacy to the public. What could be the best way to teach financial planning to Filipinos, especially the millennials? You would surely agree that making it more fun, engaging, and of course exciting is the way to go. That is why Sun Life Grepa Financial, Inc (SLGFI), a joint venture between the Yuchengco Group of Companies (YGC) and Sun Life Financial-Philippines (Sun Life), bought the license from Singaporean game designer Sense for Money to launch ‘Praxis’ in the local market. It is a special board game that was designed to serve the purpose. Praxis is part of Sun Life Grepa’s financial literacy advocacy. It targets professionals as well as teenagers who need to learn the basics of personal finance management. The board game is recommended to corporate entities that aim to make their staff more financially literate as well as to parents who want to teach their kids about financial planning even at an early age. “Talking about finances and understanding things related to it, like the concepts of insurance and investments, can be intimidating or overwhelming to many Filipinos. Praxis is a new approach that can help address this,” says Sun Life Grepa president Richard Lim. How does it work? Praxis is a breakthrough way of starting conversations about personal finance as it simulates real-life events. The board game is ideally played by four people, who are given the chance to test their strategic and decision-making skills when they are subjected to various situations and challenges brought about by the board. Within an hour or two of playing the game, each player would experience getting promoted, catching illnesses, losing job, and buying investments, among others. They would all be forced to make financial decisions amid various economic cycles. Basic financial processes like budgeting and saving, as well as the more complex ones like investing in stocks and protection planning would be tackled, in a fun and engaging way. At the end of the game, financial lessons would be gathered and processed through the guidance of Praxis-accredited Game Masters. Players are bound to realize that any form of investment will bring the best in the long term. Of course, the main realization is that people can handle life better if they are able to prepare ahead of inevitable occurrences in the economy and their personal lives. 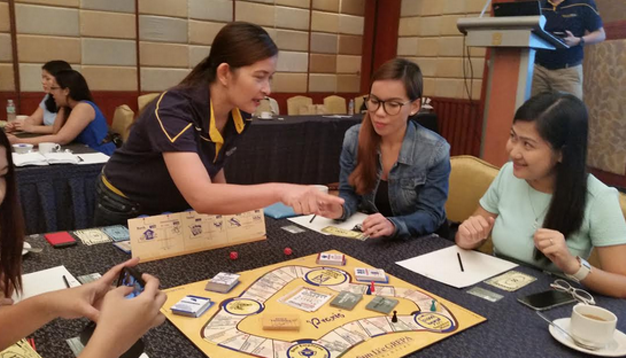 Sun Life Grepa has started using the board game to engage its clients as well as the officers of partner lender Rizal Commercial Banking Corporation (RCBC). Selected employees of the Insurance Commission and the Philippine Investment Funds Association and some members of the press were also recently given the opportunity to experience playing Praxis. Sun Life Grepa also offers the experience to other institutions, businesses, and schools, upon request.